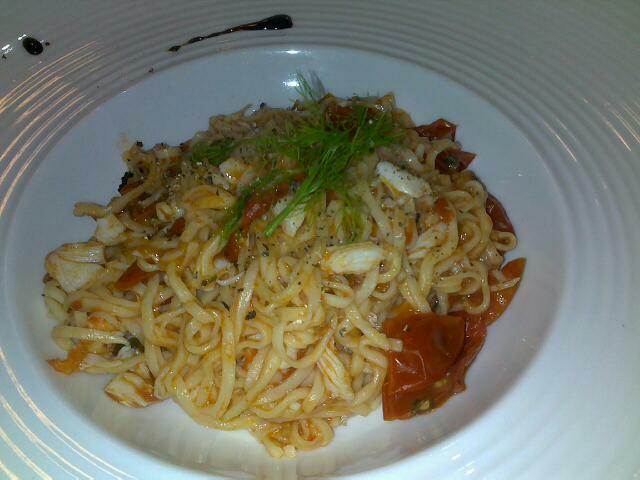 I love cooking! Which is just as well, cause I also love eating! And I have a husband who couldn’t cook to save his life…so the household story goes; I cook, he eats, he fills my need to be praised for my cooking. It’s win/win! To make the lemon mayo, place the mayo and lemon juice in a bowl and mix to combine. 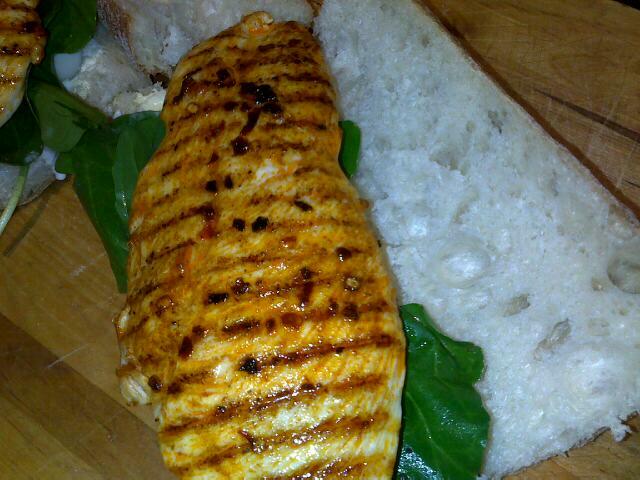 Combine the oil, paprika and chilli and pour over the chicken. Preheat a barbecue or char-grill pan over high heat. Cook the chicken for 2 minutes each side or until cooked through. Spread the rolls with the lemon mayo and top with the rocket and chicken to serve. Serves 2. Mix cumin and chill-flakes and rub over pork. Grill pork over mid-high heat, 3 mins on first side, 2 mins on the other side. Cover and set aside. Fry corn kernels for 2 mins or until brightly coloured. Add in beans, stir and cook for another minute before adding in tomato and herbs (coriander, parsley, shallots & chilli). Season to taste. Take off heat, add lemon juice. 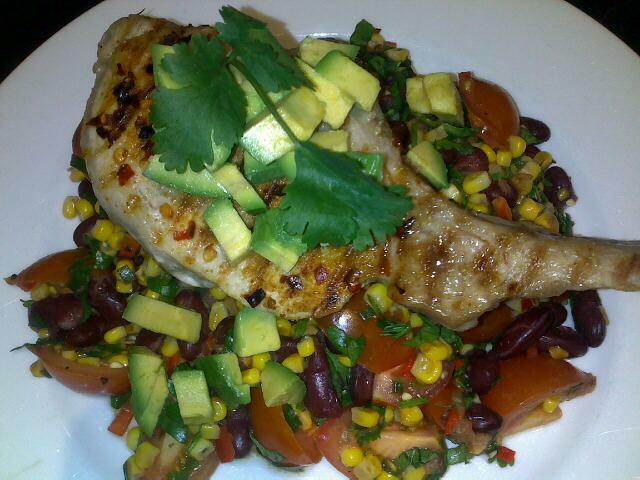 Serve corn and bean salad on a plate, topped with pork steak and dressed with diced avocado. Serves 2. * this is where I deviated from the recipe as I found the dressing mix needed an acidic balance. Preheat oven to 200°C. Place the carrot and parsnip in a ceramic baking dish. Combine the oil, cumin and honey (& lemon juice) and pour half the mix over the veggies. Cover and cook for 15 mins, then uncover and cook for a further 15 mins or until the veggies are tender. 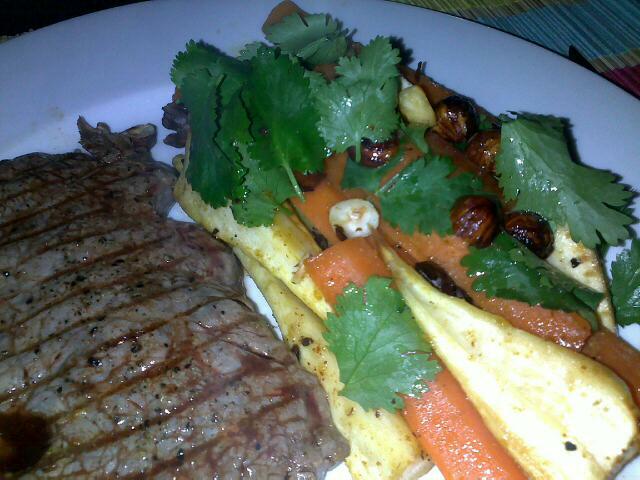 Divide the veggies between serving plates and top with the coriander, labne/feta and hazelnuts. Pour over remaining honey mixture as a dressing and sprinkle with sumac. Serves 2. …night Jay, James & I ate pizza and drank copious glasses of wine. I did not cook! I’ll move that meal plan to next week. 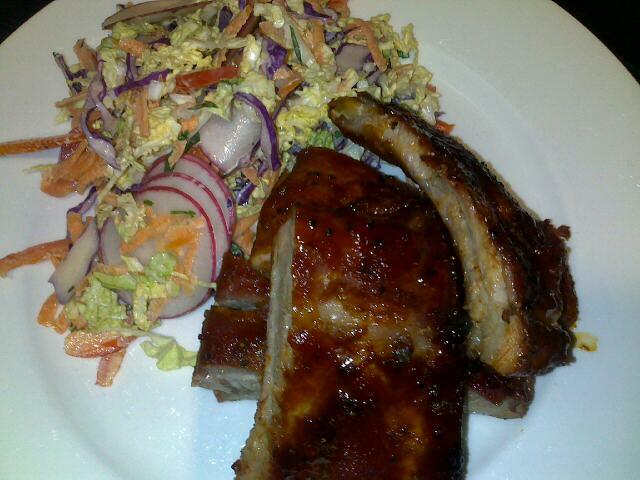 Saturday night we listened to music, slow danced in our lounge room and cooked ribs. Preheat oven to 160°C. Cut the ribs into 4 sections. Combine the paprika, chilli, sugar and salt. 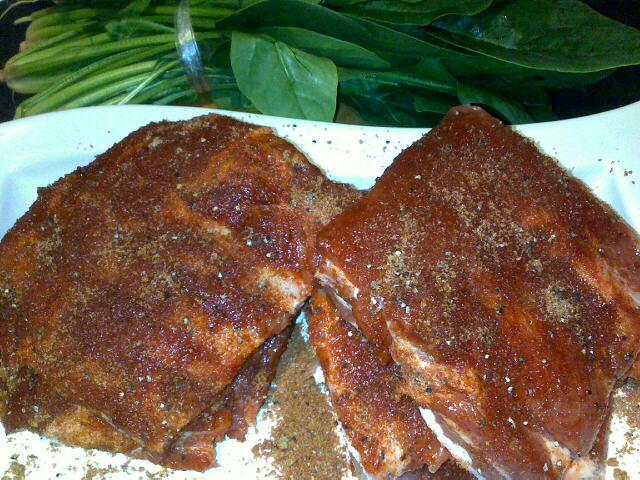 Rub generously over both sides of the rubs and place on a baking tray lined with non-stick baking paper. Cover with aluminium foil and roast for 1 hour. Remove the cover and increase heat to 220°C. Bake for 15 mins or until browned. 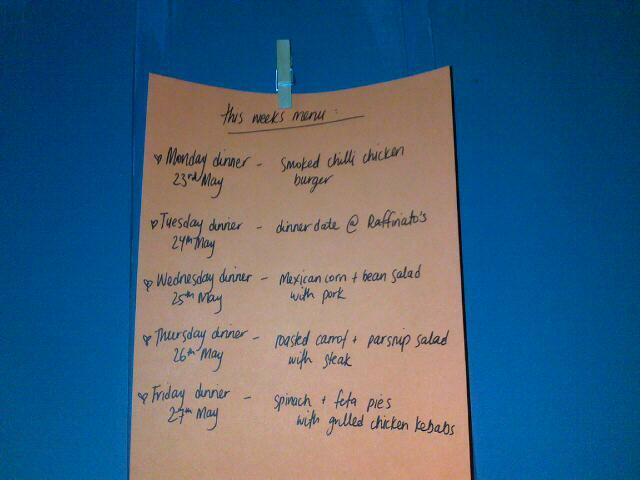 Hi Melly ive started doing a week menu as well and saw Donna Hay doing these ribs nice and easy thinking of doing them. How did they taste? They were great! Definitely worth cooking; simple to make, tender & tasty. Let me know how you go!